I sit here writing this post with such a feeling hanging over me. I feel worried, stressed and sick to my stomach for no real reason. I am suffering with anxiety. Anxiety is a very common emotion that everyone will feel at some point in their life. It can be triggered by many different things and its not the same for everyone. Some people thrive off it and others become emotionally paralyzed because of it. 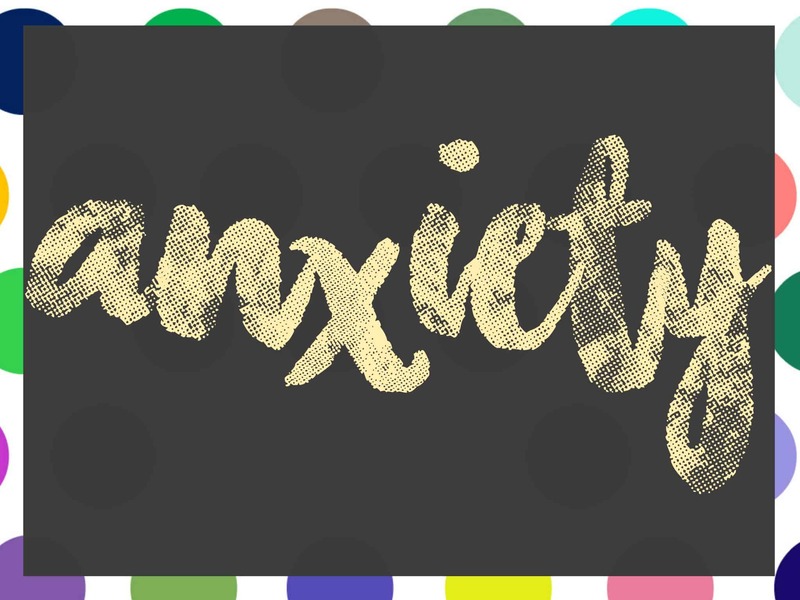 What can be a trigger for anxiety? Sometimes there is no real trigger and the feeling just washes over me with no cause. There is no one size fits all. It’s different for each individual. Personally I experience heightened heart rate, a churning in the pit of my stomach, shortness of breathe and a general unexplained feeling of worry. Depending on the trigger and the situation defines how severe my symptoms are ranging from mild discomfort to excessive panic attacks. There is no ‘normal’ level of anxiety and if for example you live a lifestyle that includes heightened stress then you may experience more levels of anxiety than someone else. This doesn’t necessarily indicate a problem though. It’s OK to experience some anxious feelings especially in certain situations like before a big exam. There only becomes a problem when it stops or prevents you from living your life, or doing things you would usually enjoy. Anxiety is nothing to be ashamed of and a GP can simply offer you access to other lines of support and help with other ways of dealing with this common emotion. For example you may be referred to someone specifically trained in dealing with feelings of anxiety who may be able to help you find the route cause and support you through your ability to deal with your anxiety. It is important to remember that anxiety isn’t who you are it is simply just an emotion we feel. I have suffered with anxiety for the last twelve years and it has ranged in severity through my life from mild to extremely severe. I have days where I suddenly feel sick to my stomach as though something bad is going to happen and my heart races but there is no rhyme or reason to why. I begin to panic and its not always easy to get it under control it has taken me years to get to where I am and with still a long way to go. Never be afraid to get support with any issues you have no matter how big or small. There is no quick fix but I can guarantee once you start making progress you will feel a million times better. I must stress I am not a doctor, nor am I medically trained in anyway. This post is written based on my personal experiences only and should not be taken in place of medical advice or diagnosis. If you are worried about your mental health please speak to your doctor or in an emergency dial 999. Thank you so much for watching you can subscribe to my blog on Bloglovin’ here. If you want to find out more about me don’t forget to check out this page. I post regular videos to my YouTube channel which you can subscribe to and watch here.